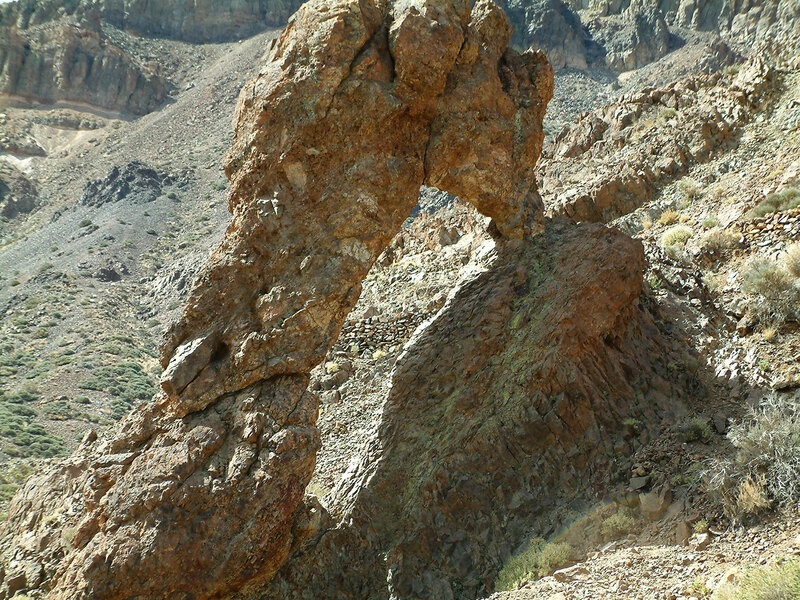 Zapato de La Reina (NABSQNO 28R-337392-3121540) is a natural arch in Teide National Park on the island of Tenerife, the largest of Spain’s Canary Islands. It is located a short walk from a parking area at kilometer 50 of the TF-21 road. 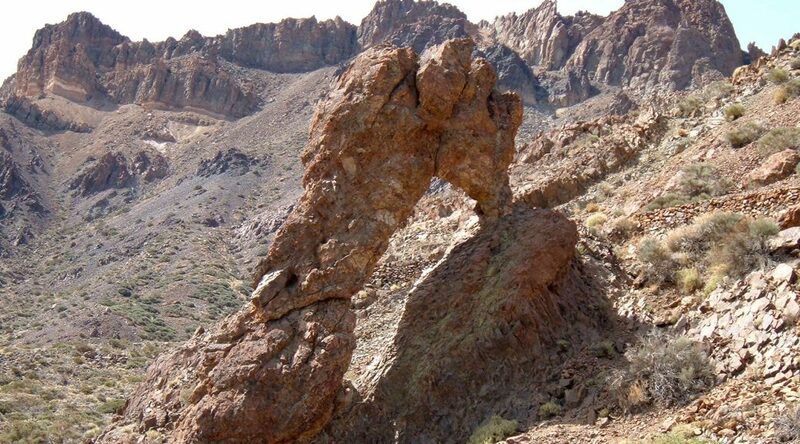 It has a span of about 14 feet and a height of about 19 feet. Teide National Park features the Teide-Pico Viejo stratovolcano that, at 3,718 m, is the highest peak in Spain. Rising 7,500 m above the ocean floor, it is regarded as the world’s third-tallest volcanic structure. 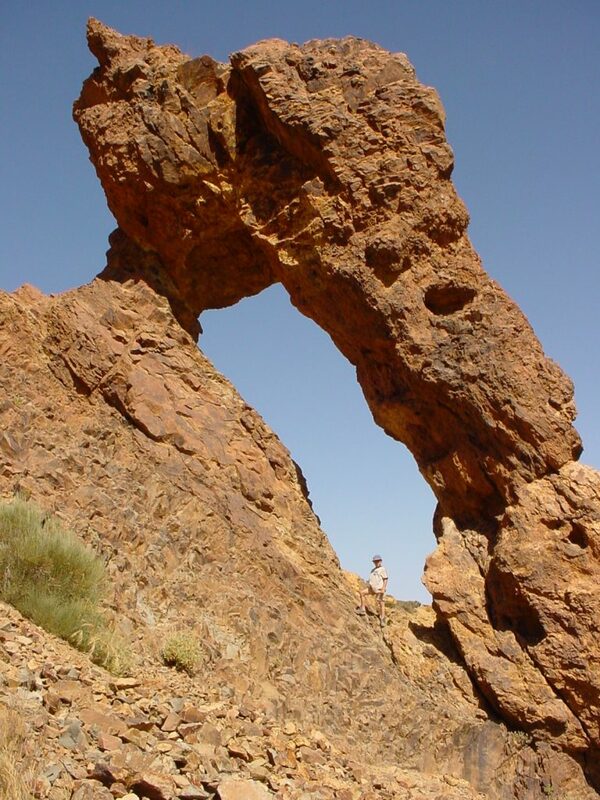 At least two other of the Canary Islands harbor arches as well. 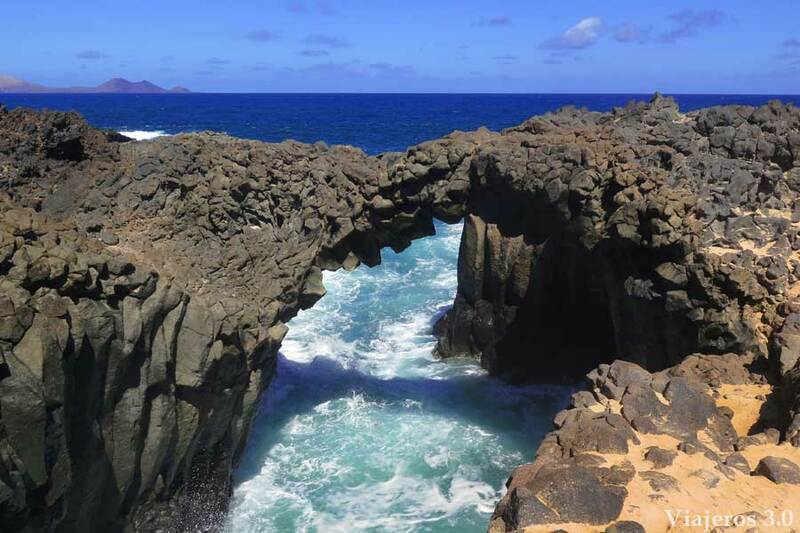 Los Arcos de Graziola is found on the island of Graciosa (photo here). There are many more, primarily collapsed lava tubes, around the coast of the island of Lanzarote.